A substantial, fully leased industrial investment in Chermside has been sold to a high net worth investor who moved quickly to secure the purchase. The property which is fully occupied by Vinidex Pty Ltd on a five year lease was sold for $6.5 million, representing an attractive yield of 9.4 per cent. Anthony White, Director Colliers International brokered the deal. “Vinidex recently took up a five year option which made the asset particularly appealing to the purchaser. We are seeing exceptional demand for high yielding investments with strong leases in place. “The buyer moved very quickly to secure this asset with the period from first inspection to settlement being less than 30 days. 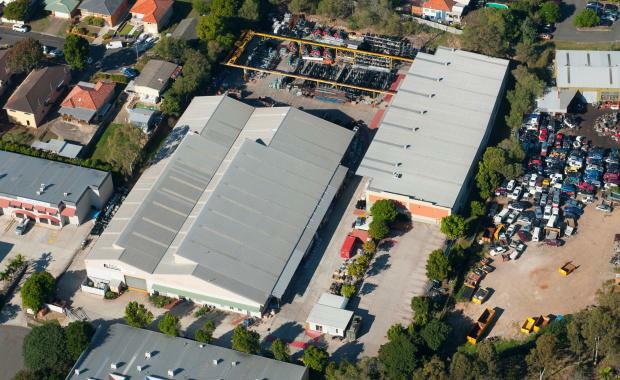 “The freehold property which consists of two buildings spanning 5,533sqm is fully leased to Vinidex Pty Ltd, Australian leading manufacturer of PVC and polyethylene piping systems. They have signed a five year lease effective from January 2016, on a net passing rental of $610,628 per annum. “This demand will continue into 2016 with buyers being increasingly attracted to the long term security that industrial properties can provide, particularly as volatility hits other asset classes,” said Mr White. This industrial facility is extremely well-positioned within the renewal precinct of Chermside on a 15,600sqm site. Externally, the property offers onsite car parking for 43 cars, along with ample yard area and truck access.